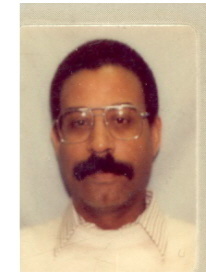 Kenneth G. Piercesaw Sr., 61, of Hopedale, died Wednesday, October 10, 2012 in the St. Vincent’s Hospital in Worcester surrounded by his family and friends. He was the husband of Eva (Charbonneau) Piercesaw of 26 years. He was born in Burlington VT, son of the late Edward H. Piercesaw Sr. and Ella M. (Mimms) Piercesaw, and moved to Hopedale in 1993. He was a graduate of Penn State University in PA and an undergraduate at Massachusetts Institute of Technology in Boston. Mr. Piercesaw retired in 2004 from the Digital/Intel Corp. in Hudson where he was employed as a Senior Product Development Engineer. He was very active in Hopedale as an appointed member of the Zoning Board of Appeals, Member of the Draper Reuse Committee and a member of the Hopedale Master Plan Committee. In addition to his wife he is survived by one son Kenneth G. Piercesaw Jr. of Hopedale and one nephew Frank J. Maiden of Philadelphia PA. He was predeceased by his brother Edward H. Piercesaw Jr. and his sister Cheryl Ann Maiden. The funeral service will be held Tuesday, October 16, 2012 at 11 A.M. in the Hopedale Unitarian Church 65 Hopedale St. Hopedale Ma. Cremation will follow. Calling hours will be held Monday from 5 to 8 P.M. in the Consigli-Ruggerio Funeral Home 46 Water St Milford Ma. To the Piercesaw family, It was with deep sadness that I read of Ken's passing. I remember him fondly from our days at Digital. Ken was kind and considerate of all the people around him. He always had a smile and nod as you passed him in the hallways and he helped you in any way he could. My sincere coldolences to all of you. So sorry to hear about your lose, my deepest sympathies. Eva - please accept my deepest sympathies. I'm so sorry for your loss. My prayers to you and Kenny. I am so sorry Eva. My prayers to you and Kenny. Eva and Ken Jr. - Ken was a fine man who helped shape my career and life. He will be missed but never forgotten. My sincerest condolences to you both and please be strong as you move forward. We are very sorry for yours and Kenny's loss. I'm personally sorry that I never got to meet him. He sounded like a great and kind person. We are here for you two, always.